Arguably Wu Tang Clan’s best lyricist, Ghostface Killah, has released another high concept album, Twelve Reasons To Die, which serves also as the soundtrack for an Italian action movie by the same name. Twelve Reasons tells the story of Ghostface’s alter ego, Tony Starks, an Italian mobster, who is a henchman for the DeLuca crime family, who falls in love with the kingpin’s daughter. The story covers a lot in just 12 tracks, from Starks rise in the DeLuca family to a racy love affair with the Kingpin’s daughter, ending with Starks death and the melting of his ashes into vinyl. Twelve Reasons is produced by Adrian Younge and executive produced by RZA. Younge, who arranged and produced the soundtrack for Black Dynamite, blends that same combination of blaxploitation and therapeutic rhythm, but Ghostface’s established lyrical story-telling is what cements Twelve Reasons To Die. Twelve Reasons registers in at around 40 minutes long, as the majority of the songs range from 2 to 3 minutes in length. RZA, also narrates the album, which gives Twelve Reasons its blaxploitation feel and sound. 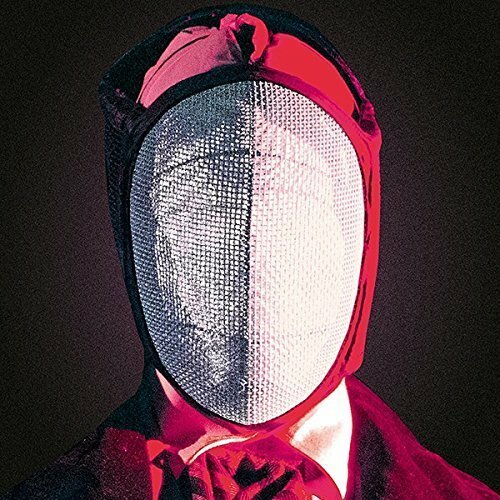 Although Ghostface’s last two albums, Apollo Kids and Ghostdini, have been well-received by critics, Twelve Reasons distinguished itself as a great album and one of Ghostface’s best. The album supplements a larger conversation, Ghostface’s Bill Murray- like late career resurgence as an indie favorite, which is ironic being that Ghostface has been signed to various large record companies including, Universal and Def Jam. Its hard to imagine that Ghostface Killah will ever have a number one hit as a solo artist, but much like Bill Murray, he has a very loyal art-driven fanbase. Twelve Reasons, which comes with a comic book if you purchase the deluxe edition, is a high concept album that can’t be describe any other way than indie. Much like any indie album out of New York, Twelve Reasons does not have a breakout hit. In fact, the album is best when listened to from front to back in its entirety, complementing the short durations of each song. Special praise to Adrian Younge, who delivers a throwback to Wu Tang’s iconic heavy beats but effortlessly remains original in each track’s individual sound. If one were to listen to the Twelve Reasons To Die instrumentals albums, the sound could easily be mistaken for 36 chambers or Wu Tang Forever. Some reviews of Twelve Reasons To Die have called the album experimental, but I do not believe that to be the case. I would argue Twelve Reasons is a classic Ghostface album, delivered at the top of his game. Twelve Reasons To Die is a must buy for any legitimate hip hop head. A valid criticism of Twelve Reasons is its lack of commercial or universal appeal, but Ghostface has gotten to a point in his career where his albums represent projects and concepts, rather than influential radio anthems or ghetto sing-a-longs, if you will.